The ‘communications power’ of the Australian Constitution (s. 51(v)) gives the Commonwealth Parliament the power to regulate telecommunications in Australia. In 2005 Parliament created the Australian Communications and Media Authority (ACMA) was created to regulate broadcasting, the Internet, radiocommunications and telecommunications. If you require legal help regarding any aspect of telecommunications law, then please complete your free legal enquiry form on the left, or click here. Under the Telecommunications Act 1997, the ACMA is responsible for regulating customer equipment and customer cabling. The ACMA administers industry self-regulatory arrangements based on compliance with applicable standards and labelling. These regulatory arrangements aim to ensure that items meet minimum mandatory technical standards and are appropriately labelled before they are connected to a telecommunications network. ensure access to emergency call services. liaising with relevant overseas bodies and actively participating in international standardisation activities. The TIO is authorised to investigate complaints about the connection or supply of telephone or internet services. The general role and powers of the TIO are included in the Telecommunications (Consumer Protection and Service Standards) Act 1999.
providing or supplying (or failure to provide or supply) carriage services. compliance with the Customer Service Guarantee Standard or industry Codes of Practice. the content of ‘information services’, eg. 1900 numbers and internet content. The TIO has the authority to make Binding Decisions up to the value of $30,000, and Recommendations up to the value of $85,000. For complaints received by the TIO before 1 May 2010 the TIO has the authority to make Binding Decisions up to the value of $10,000, and Recommendations up to the value of $50,000. Binding Decisions are legally binding upon the telecommunications company. This gives the power to install certain types of facilities defined in the act or temporary defence facilities. The Tribunal is a review body. A review by the Tribunal is a re-hearing or a re-consideration of a matter and it may perform all the functions and exercise all the powers of the original decision-maker for the purposes of review. AIIA helps people play a meaningful role in the broader ICT(Information & Computer Technology) industry by collating and distributing industry statistics; providing opportunities for participation in the industry and promoting the industry through major programs and events. AMTA's mission is to promote a socially, environmentally and financially responsible and successful mobile telecommunications industry in Australia. To achieve this, AMTA provides a forum in which all key stakeholders can discuss issues influencing the development of. ATUG is committed to the development of fair and open competition in telecommunications services as well as better prices and better quality services. The Centre for Media and Communications Law undertakes large scale research projects, holds public seminars about legal and regulatory developments, supports research visits from Australian and international academics, lawyers and policy makers. The media and telecommunications industry is characterised by rapid regulatory and technological change. In this environment, Clayton's UTZ advisers provide timely, effective and industry-specific advice. Clayton UTZ advise major telcos, television broadcasters, government. Communications Alliance was formed in 2006 to provide a unified voice for the Australian communications industry. Although the Communications Alliance has its genesis in the merger of the Australian Communications Industry Forum (ACIF) and the Service Providers Association. An independent, non-profit, public interest organisation specialising in media and communications law and policy. The Consumers' Telecommunications Network (CTN) is a national coalition of consumer and community organisations that represents community interests in the national policy arena on telecommunications issues. CTN is an important voice promoting better access, quality of. Electronic Frontiers Australia Inc. is a non-profit national organisation representing Internet users concerned with on-line freedoms and rights. EFA was formed in January 1994 and incorporated under South Australian law in May 1994. The site provides information about. The Internet Industry Association is Australia's national Internet industry organisation. Members include telecommunications carriers; content creators and publishers; web developers; e-commerce traders and solutions providers; hardware vendors; systems integrators; banks,. ISOC-AU is a non-profit, user-focused society founded in 1996, which promotes development of the Internet in Australia to benefit the whole community, including business, academic, professional and private Internet users. The aim of NDTV (National Deaf Television) is to have a regular Deaf TV program on national television in Australia, with Auslan (Australian Sign Language), captions and voice-overs to make it accessible for everyone. The OFLC site enables industry to find out how to apply for classification from the Office of Film & Literature Classification. An overview on the particular application type is provided on this website. A kit with relevant information, instructions to assist with applying. The Telecommunication Industry Ombudsman was created to resolve disputes between telecommunications companies, including Internet service providers, and residential and small business customers. The Electronic Frontier Foundation (EFF) was created to defend peoples rights to think, speak, and share ideas, thoughts, and needs using new technologies, such as the Internet and the World Wide Web. EFF is the first to identify threats to basic rights online and to. The Federal Communications Commission (FCC) is an independent United States government agency, directly responsible to Congress. The FCC was established by the Communications Act of 1934 and is charged with regulating interstate and international communications by radio,. The Reporters Committee for Freedom of Information, is an "nonprofit organization dedicated to providing free legal assistance to journalist". This site is concerned with the rights and privileges of journalists in gaining access to any information deemed in the public. Austrlian Communications and Media Authority is the government body responsible for the regulation of broadcasting, the internet, radiocommunications and telecommunications. This site provides information about ACMA's role in each area. This site contains the on-line pages of the Senate Select Committee on Information Technologies of the 39th Parliament of Australia. Reports and hearings into telecommunications and broadcasting legislation. The Australian Communications and Media Authority (ACMA) is responsible for the regulation of broadcasting, radiocommunications, telecommunications and online content. Find information on all the forms of funding and other support the Department makes available to organisations, industry and individuals, with links to relevant guidelines and application forms. This site contains links to resources and news about conmmunications and technology and links to policy and legislation regarding media and broadcasting and Australia post. The National Competition Council was established by all Australian governments in November 1995 to act as a policy advisory body to oversee their implementation of National Competition Policy (NCP). NetAlert is the Australian Government’s internet safety initiative which consists of a wide range of activities. Info Access provides a gateway to connects to Government information from a variety of sources, including fed.gov.au - the Commonwealth Government Entry Point. Media such as television, telecommunications and computer services are becoming integrated, or converging. This increases the number of media outlets, and means that ownership limits are no longer required to preserve media diversity and regulatory distinctions are being. Holding Redlich is a leading Australian Law firm practising in the following areas-film and television, media and broadcasting, advertising and marketing and information technology. The firm is a frequent adviser to a number of peak bodies in Australia. Following the massive investment in third generation (3G) mobile telephone systems, it is now time for the roll out of new services and their innovative content. But will 2G users change over at any price to access mobile TV or Internet? How will the regulators cope with the. This paper provides a simple explanation of the major digital radio standards and a brief history of their development. It particularly examines the standard chosen for Australia, the Eureka 147 standard (known also as Digital Audio Broadcasting or DAB). The site contains contains a list of national and international TV and radio broadcasters. Also the site describes a range of technologies which allow control of distribution and access to digital information. The Internet Society provides this guide as a public service for all interested parties. The guide offers links to the most useful legal research sites on the Internet along with brief descriptions. This site of Hieros Gamos covers international communications law and regulations. It only indirectly touches on the technology of communication, computers and intellectual property. The Telecoms Virtual Library is a free index of telecommunications companies and currently holds 8343 links to other telecommunications sites worldwide, indexed by subject. A free service of Washburn University School of Law. This site is the multimedia law resource page with links to multimedia law related websites, listservs, and research guides. Links to Media and Communications sites. The Australian Press Council is the self-regulatory body of the print media. It was established in 1976 with two main aims: to help preserve the traditional freedom of the press within Australia and ensure that the free press acts responsibly and ethically. This site provides telecommunications and data communications professionals with a complete information source on the industry in Australia and New Zealand. The Technology and Media section contains extensive Australian legal information in the following areas of law: Intellectual Property Law, Communications, Technology & Media Law, Entertainment, Sports & Leisure Law, and Science & Biotechnology Law. Internet Information Sources for Australian Journalists enables you to find experts and contacts, and Net-based sources of Australian facts or background information, such as business information, cases, databases, directories, government information, legislation, reports,. The LRC holds about 180,000 printed volumes on-site and the equivalent of about 30,000 volumes in microfiche or microfilm. Additionally we have a large range of online databases containing many primary and secondary law resources. These databases can be accessed from within. Articles, analysis, cases, theories and snippets on the Law and Journalism. The Media & Arts Law Review is a quarterly, refereed journal examining all areas of media and arts law, including: Communications, Contempt, Copyright, Cultural Heritage, Defamation, Digitisation, Entertainment, Free Speech, Intellectual Property, Journalism, Privacy and. Media International Australia incorporating Culture and Policy publishes new scholarly and applied research on the media, telecommunications, and the cultural industries, and the policy regimes within which they operate. International Journal of Communications Law and Policy, edited by legal scholars. The journal is devoted to the changing law, policy and technology of media regulation around the world. CommLaw Conspectus is one of the fastest growing law journals in America. CommLaw Conspectus's role as a communications law journal is to provide critical analysis of the laws and policies that affect this industry. "The News Media & The Law" is an electronic quarterly publication. Published by The Reporters Committee for Freedom of the Press. The publication contains reports on access to electronic records and to juvenile court proceedings, supoenas issued to journalists and the issue. The Communications Law Centre (CLC) is an independent, non-profit, public interest organisation specialising in media, communications and online law and policy. CLC works in four main areas: research, teaching, public education and legal advice. The Research Statistics and Technology Branch supports the development of policy and programs in communications, information technology, arts and sport, by providing economic, statistical, mapping, modelling and other research support. The E brief contains a list of the most useful sites relating to the introduction of digital television and datacasting in Australia. Other topics are Policy and Legislation, Developments relating to Datacasting, Digital Consumer Equipment and Services, Recent Developments. Proposed Internet censorship laws. On 20 August 2003, in a media release titled Using internet for offensive and menacing purposes to be outlawed, the Minister for Communications, Information Technology and the Arts, Senator Richard Alston, and the Minister for Justice and. The Program's primary aim is to undertake social and policy research related to the development and regulation of online media services. Media ownership deregulation in the United States and Australia: in the public interest? Research Paper no.1 2007-2008 issued July 2007. E-Brief: Online Only issued 22 October 2001; updated 26 March 2002; updated 16 June 2003; updated 30 May 2006. Spam, or electronic 'junk mail', has increased so sharply in recent years that it is threatening the viability of email. Spam messages are often fraudulent, offensive or annoying, and they often carry viruses. Many countries are now introducing legislation to ban or regulate. On this site you will find all information relating to things currently happening or soon to be happening at ACMA, also information about major current investigations, recent activities ACMA has undertaken, issues for comment, any new licence allocations, draft documents or. The report of the Telecommunications Service Inquiry (TSI), Connecting Australia: Report of the Telecommunications Service Inquiry, released on 30 September 2000, provided an assessment of the adequacy of telecommunications services in metropolitan, regional, rural and. First report of the Inquiry into community broadcasting. On 11 May 2005, the Senate referred the above Bill to the Senate Legal and Constitutional Legislation Committee for inquiry and report by 14 June 2005. The Bill will amend the Criminal Code Act 1995 (the Criminal Code) to extend the defences to certain offences under Part. This site contains Information about the Inquiry into the provisions of the Broadcasting Services Amendment (Anti-Siphoning) Bill 2004. The Senate has referred the provisions of this bill to the Committee for inquiry and report by 7 March 2004. The purpose of the bill is to. The public inquiry, Review of Radiocommunications Acts and of the Market Based Reforms and Activities undertaken by the Australian Communications Authority, has concluded. The inquiry report was released by the Commonwealth Government on 5 December 2002. Second report of the Inquiry into community broadcasting. - The Australian Communications and Media Authority (ACMA) was created on 1 July 2005, following the merger of the Australian Broadcasting Authority and the Australian Communications Authority. - The Australian Competition and Consumer Commission site contains speeches, press releases and other policy material dealing with competition aspects of telecommunications policy. - The Department of Broadband, Communications, and the Digital Economy (DBCDE) site provides extensive access to media releases, policy documents and related sites. - The Australian Government Information Management Office (AGIMO) develops and coordinates information policy, including online services and information technology. - The Classification Board and Classification Review Board administers Australia's censorship and classification policy. - The Online and Communications Council comprises members of the Commonwealth, state/territory and local governments who are responsible for policy on online issues and the information economy. The site contains information on the activities of the Council as well as links to the relevant state and local government authorities. - The Australian Broadcasting Corporation Act 1983 provides for the establishment and operation of the ABC. - The Australian Communications and Media Authority Act 2005 establishes the ACMA for the regulation of broadcasting, radiocommunications and telecommunications. - The Australian Film, Television and Radio School Act 1973 provides for the establishment and operation of the School. - The Broadcasting Services Act 1992 provides for the regulation of broadcasting services by the Australian Broadcasting Authority. - The Radiocommunications Act 1992 establishes the radiocommunications regulatory regime. - The Special Broadcasting Service Act 1991 provides for the establishment and operations of the SBS. - The Telecommunications Act 1997 provides for the regulation of telecommunications. - The Telstra Corporation Act 1991 provides for the ownership and operations of Telstra. - The Australian Centre for Independent Journalism, based at the University of Sydney, is an organisation that aims to stimulate the production of high quality investigative journalism. - The International Institute of Communications is an organisation for international debate about communications. - The Australian Children's Television Foundation develops and produces high quality television programs for children. - Young Media Australia is a community based organisation that deals with issues concerning children and the media. - The La Trobe University Online Media Program provides information and links on Australian social and policy research in telecommunications. - The Communications Law Centre is a public interest, research and education organisation specialising in media and communications law and policy. The site contains an extensive range of material and links relevant to the subject. - The Information and Telecommunications Needs Research Group site has information on the group and its work. - The Convergent Communications Research Group is a virtual research centre. - The OECD provides information about Information and Communication Technologies. - Australian TV ratings are compiled by OzTAM which conducts television audience measurement (TAM), covering the five city metropolitan areas and nationally for Subscription TV. The most recent weekly viewing reports are available free of charge, more data are available through subscription. - The Australian Film Commission is a government agency which ensures the creation, preservation and availability of Australian audiovisual content. It manages Get the Picture, the AFC's comprehensive collection of media statistics. - The Australasian Performing Rights Association / Australasian Mechanical Copyright Owners Society work to ensure music publishers and writers receive royalties. - The Advertising Standards Bureau administers a national system of advertising self-regulation through the Advertising Standards Board and the Advertising Claims Board. - The Australian Interactive Media Industry Association is the peak body for interactive content and digital media in Australia. - Broadcast Australia owns and operates the most extensive multimedia transmission infrastructure in Australia, and provides analogue and digital television and analogue radio for the ABC and SBS. - Commercial Radio Australia is the national industry body representing Australia's commercial radio broadcasters. - Free TV Australia (formerly Commercial Television Australia) is the industry body that represents Australia's commercial free-to-air televisionl licencees. - The Community Broadcasting Association of Australia is the peak body for community radio and television stations. - The Media, Entertainment and Arts Alliance is the union and professional organisation for people in the media, entertainment, sports and art industries. - Nielsen Media Research provides statistical information about television and radio. The Telecommunications Industry Ombudsman Scheme is a free and independent alternative dispute resolution scheme for small business and residential consumers in Australia who have a complaint about their telephone or internet service. Established in 1993 and provided for under a Federal Act of Parliament, the TIO Scheme is operated by Telecommunications Industry Ombudsman Ltd and is independent of industry, the government, and consumer organisations. The TIO is authorised to investigate complaints about the connection or supply of telephone or internet services. Complaints to the TIO can be made online or by phone, fax, email, in writing, via TTY or in person. Complaints may be made by the person with the problem or by a person authorised to represent the complainant. The general role and powers of the TIO are included in the Telecommunications (Consumer Protection and Service Standards) Act 1999. Copies of this Act are available from the Commonwealth Government. The TIO also has the power to exercise its discretion not to investigate or further investigate a case in certain circumstances. See TIO Complaint Handling Procedures: About the TIO for more information. The TIO deals with complaints where the complaint is within the TIO's jurisdiction (set out below). On receiving a complaint, the TIO will ask whether the consumer has given the service provider an opportunity to consider the complaint. The complaint must be made to the TIO within 12 months of the consumer becoming aware of the circumstances surrounding the complaint. The time limit may be extended by a further 12 months in certain cases. The TIO will not handle a complaint issue that is specifically under consideration in legal proceedings. See the TIO Constitution for more information. The structure of the TIO Scheme is designed to ensure its independence. The TIO Scheme is governed by a Council and a Board of Directors of Telecommunications Industry Ombudsman Ltd, and the Scheme is managed by an independent Ombudsman appointed by the Board on the recommendation of Council. The Council is comprised of five TIO member representatives and five consumer representatives, with an independent Chairman. While the Ombudsman has responsibility for the day to day operations of the scheme, the Council provides advice to the Ombudsman on policy and procedural matters. The Board has corporate governance responsibilities including financial management of the scheme and ensuring compliance with the Memorandum and Articles of Association and the Constitution. With the exception of the independent director, who is appointed by the Board itself, directors are appointed by the TIO membership. The TIO is an industry-funded scheme, deriving its income solely from members who are charged fees for complaint resolution services provided by the TIO. Members consist of telecommunications carriers, telephone carriage providers and internet service providers. A member is only charged complaint handling fees if the TIO receives a complaint from one of its customers. Therefore, the funding system acts as an incentive for members to keep TIO investigations to a minimum by developing and maintaining effective complaint handling and customer service procedures. The TIO is independent of telecommunications companies, consumer groups, and government. However, the TIO provides information and assistance to organisations where this is required by law, or where this will help the industry and consumers to resolve complaints without investigation by the TIO. Communications Alliance is a non-government body comprised of industry representatives that develops Codes of Practice for telecommunications providers. The TIO assists Communications Alliance in developing Codes by providing information and other feedback on complaints received by the TIO. The TIO may refer systemic problems, identified through complaint statistics, to the Australian Communications & Media Authority, Australian Competition and Consumer Commission, the Privacy Commissioner or other appropriate bodies. If you need legal advice regarding Telecommunications Law, then please complete your free legal enquiry form on the left, and we will put you in touch with a Telecommunications Law lawyer nearest you, who can help you with Telecommunications Law. Our free legal enquiry service for Telecommunications Law extends to all suburbs and locations within and throughout Australia. Act No. 47 of 1997 as amended, taking into account amendments up to Telecommunications Legislation Amendment (Fibre Deployment) Act .. The Telecommunications Act 1997 (Cth) contains a number of provisions dealing with the privacy of personal information held by carriers, ..
ACMA - Disclosure requirements – Part 13 Telecommunications Act ..
Part 13 of the Telecommunications Act 1997 (the Telecommunications Act) creates offences for the use or disclosure of any information or ..
Telecommunications Legislation Amendment (National Broadband Network Measures—Access Arrangements) Act 2011 - C2011A00023 .. Schedule 3 of the Telecommunications Act 1997 provides carriers with the power to inspect land to determine whether the land is suitable for ..
Telecommunications Legislation Amendment (Competition and ..
Telecommunications Act 1997 5. Part 1—Amendments relating to Telstra 6. Division 1—Amendments commencing on the day after this Act .. This information relates to the Telecommunications Act 1997. 1. What telecommunications organisations are subject to law enforcement ..
Telecommunications Legislation Amendment (National Broadband ..
Telecommunications Act 1997 50 .. An Act to amend legislation relating to telecommunications, and for other purposes. [Assented to 12 April .. The Telecommunications Act 1997 (the Telecommunications Act) contains provisions dealing with the privacy of telecommunications ..
Interaction between the Privacy Act and the Telecommunications Act ..
information or an opinion (including information or an opinion forming part of a database), whether true or not, and whether recorded in a material form or not, ..
Law enforcement | Department of Broadband, Communications and .. The telecommunications sector is principally regulated through the Telecommunications Act 1997 (the Act), and its related legislative package. Telecommunications Interception and Intelligence Services ..
An Act to amend the law relating to telecommunications interception and access, and intelligence services, and for related purposes ..
Telecommunications (Carrier Licence Charges) Act 1997. DETERMINATION UNDER PARAGRAPH 15(1)(d) No. 1 of 2010. I, STEPHEN ..
No. 47 of 1997 as made. An Act about telecommunications, and for related purposes. Administered by: Broadband, Communications and the Digital ..
73.9 The Telecommunications (Interception and Access) Act makes it an offence to intercept a communication passing over a telecommunications system .. Responsibilities under the Telecommunications Act | Department of .. The primary responsibility for administering these areas of the Act falls to the Australian Communications and Media Authority Authority ..
Telecommunications Legislation Amendment (Fibre Deployment ..
Telecommunications Act 1997 34 .. 107, 2011. An Act to amend legislation relating to telecommunications, and for other purposes. [Assented ..
Telecommunications Act 1997. Act No. 47 of 1997 as amended. This compilation was prepared on 28 September 2005 taking into account amendments up to ..
Disclosure of customer details – Part 13 Telecommunications Act .. In addition, Regulation 5.1 of the Telecommunications Regulations 2001 sets out additional prescribed authorities that are criminal law ..
72.8 An organisation that uses or discloses personal information in a way that is authorised under the Telecommunications Act will not be in breach of National ..
Telecommunications facilities specified in the Telecommunications Act 1997, or in a ministerial determination made under the Act, are exempt ..
DANRIVANTO BUDHIJANTO, SH, LLM in IT Law. Commissioner. INDONESIAN TELECOMMUNICATIONS REGULATOY AUTHORITY. (BADAN REGULASI ..
Act No. 114 of 1979 as amended, taking into account amendments up to Telecommunications Interception and Intelligence Services ..
A review of telecommunications regulation - Australian Law Reform .. The ALRC proposed, therefore, that the Australian Government should initiate a review to consider the extent to which the Telecommunications Act and the ..
Submission: Senate Legal and Constitutional Committee Inquiry into .. The primary objective of the Interception Act is to protect the privacy of individuals who use the. Australian telecommunications system. The Interception Act does .. Please ﬁnd attached the submission of the Communications Law Centre, UTS to the possible changes to the Telecommunications (Low-impact Facilities) .. Welcome to the Australian Communications and Media Authority's website. .. Telecommunications organisations and law enforcement ..
Telecommunications privacy | Department of Broadband ..
Part 13 of the Telecommunications Act 1997 (the Act) requires carriers, nominated carriage service providers and number database operators ..
A carrier authorised under the Telecommunications Act to install a low-impact facility is immune from some state and territory laws, including ..
ACMA - Internet service providers and law enforcement and national .. The Telecommunications Act 1997 (the Act) does not refer specifically to internet service providers (ISPs) or internet access providers (IAPs). Carriers must undertake such activities in accordance with conditions specified in the Telecommunications Act 1997 (the Act), the Ministerial ..
Queensland. Telecommunications. Interception Act 2009. Act No. 10 of 2009 .. This Act may be cited as the Telecommunications Interception. Act 2009. 2 .. Welcome to the ACCC > The ACCC > Consumer & business directory > Consumer & business directory quick links > Communications Law Centre .. The Telecommunications and Surveillance Law Branch of the Australian Government Attorney-General's Department administers the ..
ACMA - Installation of telecommunications facilities – a guide for .. While current government policy allows the rollout of these facilities, one of the aims of the Telecommunications Act 1997 is to balance the .. The ACMA is conducting consultation on the Declaration in accordance with section 572E(8) of the Telecommunications Act 1997. The Telecommunications Act 1997 imposes obligations on carriers and carriage service providers, including Internet service providers, .. Principal Instrument; This instrument determines where section 42 of the Telecommunications Act 1997 does not apply in relation to a Wireless ..
Telecommunications (Interception) Act 1979. 4. Part 2—Other .. This Act may be cited as the Telecommunications (Interception). Amendment ..
An Act about telecommunications, and for related purposes .. Compliance with other laws Division 6 - Protection of communications. 88. Carriers' employees ..
An Act to impose charges in relation to numbers allocated to certain carriage service providers under the Telecommunications Act 1997 ..
Telecommunications (Transitional Provisions and Consequential ..
An Act to enact transitional provisions, and to make consequential amendments, in connection with the enactment of the Telecommunications ..
2.1 Malaysia—Communications and Multimedia Act 1998 .. 2.3 The UK—Communications Act 2003. 8. 2.4 South Africa—Electronic Communications Act 2005 ..
53 of 1989 as made. An Act relating to telecommunications, and for related purposes .. This Act may be cited as the Telecommunications Act 1989. (Minister's ..
44, 2005. An Act to establish the Australian Communications and Media Authority, and for related purposes. Contents. Part 1—Preliminary 2. 1.
Review of Consumer-Related Industry Code Processes - Part 6 .. The Issues Paper does not appear to refer to the ALRC's consideration of Part 6 of the Telecommunications Act. The Office believes the ..
Are there rules about recording or monitoring my telephone .. Monitoring (listening in to), or recording of telephone conversations, is a matter tightly controlled by law. The federal Telecommunications ..
A carrier authorised under the Telecommunications Act to install a low-impact facility is .. comply with the requirements in the Telecommunications Act and the ..
ACMA - Telecommunications facilities – Information for rural .. The Telecommunications Act 1997 brought in important legislative changes governing the installation of telecommunications facilities. Telecommunications legislation - introduction | Department of ..
the Telecommunications Act 1997; Parts XIB and XIC of the Trade Practices Act 1974; and; the Telecommunications (Consumer Protection and .. This instrument determines the estimated total amount of grants likely to be made during FY10/11 under s 593 of the Telecommunications Act ..
Telecommunications Universal Service Obligation (Standard ..
Telecommunications (Consumer Protection and Service Standards) Act 1999. Telecommunications Universal Service Obligation (Standard .. The Telecommunications (Consumer Protection and Service Standards) Act 1999 .. The CSG provisions were re-enacted in the Telecommunications Act 1997 .. The Australian Communications and Media Authority (the ACMA) is responsible for regulating telecommunications in accordance with the Act. Telecommunications (Structural Separation— Networks and ..
(21) of the Telecommunications Act 1997. Dated. 2011. STEPHEN CONROY. Minister for Broadband, Communications and the Digital Economy .. The Telecommunications Act 1997: Summary of Implications for New South Wales 3 .. On 1 Iuly 1997 the Federal Telecommunications Act 1997 and the .. The Telecommunications Act 1997 (the Act) is the primary legislative instrument for the telecommunications industry. It imposes a range of .. The Communications and Media Law Association (CAMLA) brings together .. CAMLA publishes a regular journal, known as the Communications Law Bulletin. By-laws 112. Regulations TELECOMMUNICATIONS ACT 1975 No. 55 of 1975 An Act relating to the Provision of Telecommunications Services within Australia. 10+ items – Acts Interpretation Amendment Act 2011. Authoritative version .. The former ACA was asked by the Minister to conduct the review required under section 332R of the Telecommunications Act. The full report ..
(2) The Telecommunications Act 1997 has effect, in relation to the specified kind of carrier, as if the Industry Minister had made a declaration under subclause ..
An Act to prohibit the interception of telecommunications except where authorised in special circumstances or for the purpose of tracing the ..
AMENDMENT ACT 1976 No. 94, 1976 - LONG TITLE. TELECOMMUNICATIONS AMENDMENT ACT 1976 No. 94 of 1976 An Act to ..
(6) The Act facilitates the establishment of an open market access regime for providers of both telecommunications infrastructure and services .. Welcome to the Australian Communications and Media Authority's .. Australia's anti-spam legislation – the Spam Act 2003 - covers email, ..
Telecommunications (Interception and. Access) Act 1979. Act No. 114 of 1979 as amended. This compilation was prepared on 29 March 2007 taking into ..
With the passage of the Telecommunications Act 1997 (the Act), responsibility for the authorisation of most telecommunications facilities was ..
Australian Telecommunications Users' Group; Australian Communications Consumer Action Network; Communications Law Centre; Service .. Placing aerial cables underground | Department of Broadband ..
Telecommunications Act 1997 (the Act) provides for the approval and removal of many telecommunications facilities to be dealt with by relevant ..
GOLD COAST CITY COUNCIL. LOCAL LAW NO 15. (TELECOMMUNICATION CABLING). SUMMARY OF PROVISIONS. PART 1 - PRELIMINARY. 1. Citation . 71.8 The Telecommunications Act regulates the activities of a number of participants in the telecommunications industry, including 'carriers' and 'carriage ..
Telecommunications (Prohibition of Mobile Phone Boosters ..
Telecommunications Act 1997. The AUSTRALIAN COMMUNICATIONS AND MEDIA AUTHORITY makes this Declaration under subsection .. Proposed Telecommunications (Infringement Notices) Declaration .. Draft Telecommunications Act 1997—Infringement Notice Guidelines of the .. 31B of the Telecommunications Act 1997 (the Act) establishes a regime that .. Emergency Services Telecommunications Authority (ESTA) was established by the Emergency Services Telecommunications Act 2004 to .. Does the Telecommunications Act 1997 legislation 'cover the field' in ..
passing of the Telecommunications Act 1991 (Cth) both Optus and Telstra realised .. planning and environmental law contained in the Telecommunications Act ..
A Bill for an Act to amend the Telecommunications Act 1997 and the Australian Radiation Protection and Nuclear Safety Act 1998, and for ..
Telecommunications Act 1997 111 .. An Act to amend the law relating to communications, and for other purposes. [Assented to 20 July 2007] ..
Telecommunications Amendment (Integrated Public Number ..
Telecommunications Amendment (Integrated Public Number Database) Act 2009. No. 16, 2009. An Act to amend the Telecommunications Act ..
Reason for Ceasing: Repealed by Act No. 59 of 1997 Telecommunications (Transitional Provisions and Consequential Amendments) Act 1997 ..
Telecommunications and Surveillance Law Branch. The Telecommunications and Surveillance Law Branch of the Australian Government .. Principal Instrument; This instrument determines that section 42 of the Telecommunications Act 1997 does not apply in relation to a network unit .. The Telecommunications (Emergency Call Service) Determination 2002 is made pursuant to subsection 147(1) of the TCPSS Act. It places ..
Australian Mobile Telecommunications Association - Submission ..
An Australian Consumer Law. Fair Markets – Confident Consumers. Submission to Treasury by: Australian Mobile Telecommunications Association. March 2009 .. Schedule 1—Telecommunications offences 3. Part 1—Main amendments 3. Criminal Code Act 1995 3. Part 2—Consequential amendments 19 ..
Telecommunications Act 1997 - Determination under subsection 23 .. Determinations as made. Principal Instrument; This instrument determines a person's immediate circle for the purposes of paragraph 23(1)(n) of ..
. A redraft of the Part. Print. 71.58 In Discussion Paper 72, Review of Australian Privacy Law (DP 72), the ALRC noted that AAPT had ..
ACMA is a statutory authority with specific regulatory powers conferred on it by a number of Acts, including the Telecommunications Act, Telecommunications ..
Telecommunications (Consumer Protection and Service Standards) Act 1999. Act No. 50 of 1999 as amended. This compilation was prepared ..
72.27 Sections 280(1)(b) and 297 of the Telecommunications Act provide that a .. 72.30 While s 303B of the Telecommunications Act provides that a use or ..
Communications and 'telecommunications data' - Australian Law ..
73.24 The Telecommunications (Interception and Access) Act regulates 'communications', 'stored communications' and 'telecommunications data'. As noted ..
- Telecommunications and the Disability Discrimination Act. (This note is based on advice published on the HREOC website at ..
Telecommunications Act 1997. Telecommunications (Regulated Services) Determination (No. 1) 2011. I, STEPHEN michael CONROY, Minister ..
Telecommunications (Interception) Amendment (Stored ..
Telecommunications (Interception) Amendment (Stored Communications) Act 2004. No. 148, 2004. An Act to amend the Telecommunications (Interception) Act ..
177, 2007. An Act to amend the Telecommunications (Interception and Access) Act 1979, and for other purposes. Contents. 1...... Short title. Schedule 3 to the Telecommunications Act. The most common exemption .. the Telecommunications Act and the areas—residential, commercial, industrial or ..
73.2 Laws relating to the interception of telecommunications were initially concerned with preserving the integrity of telecommunication systems. In 1960 ..
Telecommunications (Carrier Licence Exemption) Determination ..
Commonwealth of Australia. Telecommunications Act 1997. Telecommunications (Carrier Licence Exemption). Determination 2011 (No. 1) ..
Arts. Arts Law Centre of Australia .. Media and Communications. Communications Law Centre .. Telecommunications Industry Ombudsman .. The ACMA proposes to exercise its powers under section 529 of the Telecommunications Act 1997 (the Telecommunications Act) to make .. The Young Lawyers Bushweb Regional Issues Committee refers to the Regional. Telecommunication Review Issues Paper 2011-12 produced ..
Andrew Schatz Senior Lawyer. T 08 8205 4201 F 08 8205 4499 andrew.schatz@ags.gov.au. The telecommunications interception regime is intended to protect ..
Broadband, Communications and the Digital Economy · Immigration and .. formerly known as the Standing Committee on Attorneys-General or SCAG) This link .. Welcome to the Australian Communications and Media Authority's .. years, in a speech to the Communications and Media Lawyers Association ..
Media releases and speeches by the Attorney-General about the AAT. .. "The Telecommunications Interception Policy Review recommends ..
.. landlords and builders. 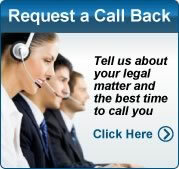 Telecommunications .. Lawyers and solicitors. Office of the Legal .. Australian Communications and Media Authority .. Appendix 1. Agencies, Organisations and Individuals Consulted ..
Lisa Brown, Policy Manager, Australian Mobile Telecommunications Association .. and Joshua Cavalleri, Tress Cox Lawyers, Policy Adviser, Interactive Games ..
Adam Internet Pty Ltd, iiNet Limited, Internode Pty Ltd, Primus ..
Submission by Herbert Geer Lawyers on behalf of: Adam Internet Pty Ltd,. iiNet Limited,. Internode Pty Ltd,. Primus Telecommunications Pty Ltd ..
Department. Attorney Generals Department ..Telecommunications (Interception and Access) Act 1979 – Annual Report for the year ending 30 June 2011 ..
Report of review of named person warrants and other matters - June ..
ACA - Australian Communications Authority. ACC - Australian Crime Commission. AGD - Commonwealth Attorney-General's Department ..
ACMA Chairman Chris Chapman opened his speech to the Communications and Media Lawyers Association in May 2011 by saying, 'Let me ..
Justice and Attorney-General (Organisation site). Communications Officer. Marketing and Communication; Practice Management Branch; Crown Law; Brisbane ..
ACMA Chairman Chris Chapman opened his speech to the Communications and Media Lawyers Association in May 2011 by saying, 'Let me immediately ..
Adam Internet Pty Ltd, iiNet Limited, Internode Pty Ltd, and ..
Submission by Herbert Geer Lawyers on behalf of: Adam Internet Pty Ltd,. iiNet Limited,. Internode Pty Ltd, and. TransACT Communications Pty ..
TELECOMMUNICATIONS INTERCEPTION AND CRIMINAL ..
Attorney—General's Department, lawyers experienced in the operation of the Commonwealth. (Telecommunications) Interception Act and the area of electronic ..
ACMA - Reimbursement of telecommunications code development .. Welcome to the Australian Communications and Media Authority's website .. such as drafters, lawyers and consumer representatives;; the code .. The Association includes lawyers, journalists, broadcasters, members of the telecommunications industry, politicians, publishers, academics and public servants ..
We have lawyers with computer science and information management qualifications, private sector information and communications technology experience, and ..
Commonwealth Parliament; Agriculture, Fisheries and Forestry; Attorney-General's .. Department of Broadband, Communications and the Digital Economy ..
Submission to the Independent Media Inquiry by Victoria Marles The .. The following comments are drawn from my experience as a lawyer with the Communications Law. Centre (1993 – 2002), member of the ..
JOINT STANDING COMMITTEE ON THE CORRUPTION AND ..
communications with a lawyer, and documents produced for or in consequence of such communications, will not· normally be disclosed without the affected .. They have pursued careers as project managers, authors, actors, lawyers, public servants, lecturers, peacekeepers, telecommunications developers, chief ..
relation to computer surveillance. It should also be noted that the Commonwealth Attorney-General's. Department is currently reviewing the telecommunications ..
1 ACMA Chairman Chris Chapman, 'The "Convergence Phenomena" from a Regulator's Perspective,' speech to the. Communications and Media Lawyers .. The firm's 60 plus attorneys and lawyers specialise in five practice areas; Chemical/Life .. Communications Technologies and Spruson & Ferguson Lawyers. 2 Sections 577A(3) and 577A(5) of the Telecommunications Act 1997 (Cth). Lawyers. Level 21, Angel Place. 123 Pitt Street. Sydney New South ..
Online privacy, spam and the Stored Communications Act. Andrew Schatz Lawyer Australian Government Solicitor T 08 8943 1400 F 08 8943 ..
communications for the same purpose, eg communications between legal advisers of the client, .. Waterford extends to AGS lawyers under the current ..
Telecommunications at Advent Lawyers, provided insight into another alternative emerging for practice within the legal profession. Advent Lawyers place senior ..
Lawyers 2010-11 .. value of answering machines, mobile phones, pagers and other telecommunications equipment, see Capital allowances. Mr Tony Dooley, Herbert Greer Lawyers by teleconference. 9.40am .. Mr Andrew Deme, Group Manager Telecommunications, Ergon Energy ..
Assistant Director, Corporate Communications. Strategic Communication Branch. Attorney-General's Department. 3–5 National Circuit. BARTON ACT 2600 .. The Telecommunications Industry Ombudsman (TIO) deals with complaints that consumers have not been able to resolve with their telephone or internet ..
(From speech to the Communications and Media Lawyers Association by ACMA Chairman Chris Chapman, May 30, 2011.) Click on the image .. Structural separation instruments: exposure drafts—submissions .. Final versions of the instruments are published on the Telecommunications .. Herbert Geer Lawyers on behalf of: iiNET Limited/Internode Pty Ltd/Adam Internet ..
Environmental Sustainability of ICT - Department of Finance and ..
Green Information and Communications Technology (ICT) Procurement Toolkit .. Please seek clearance from your lawyers/legal area before ..
To complain about banks, insurance, telecommunication companies, gas, electricity and water suppliers, lawyers, doctors, builders or about discrimination, .. Complaints against telecommunications providers The .. Complaints against lawyers · Complaints against banking and financial services ..
Search Justice and Attorney-General .. intellectual property, information technology, telecommunications and media, privacy, infrastructure and ..
.. against lawyers · Complaints against banking and financial services .. government) · Complaints against telecommunications providers ..
Consumer Law; and there are reforms affecting energy, telecommunications, .. compliance professionals, business people, lawyers, consumer advisers and ..
On 18 August 1998 in Sydney at the State Library of NSW the Attorney-General's Department and the Department of Communications and the Arts jointly held a .. The commentary is prepared by AGS commercial lawyers and covers areas such .. the UN Convention on the Use of Electronic Communications in International .. The Australian Communications and Media Authority (ACMA) Is satisfied, .. Lawyers on behalf of the Content Supplier provided a response to the ACMA by .. List of Portuguese lawyers conversant in English in the Porto area .. Shipping/Aviation, Telecommunications and Utilities, Credit Recovery and Court Work ..
285, Australian Institute of Criminology,. October 2004, p.1. 3 Attorney-General‟s Department, Submission 44, p.16; Telecommunications (Interception and ..
- Australian Communications and Media Authority ... The 'convergence phenomena' from a regulator's perspective to the Communications and Media Lawyers .. Standing Committee of Attorneys-General. • Telecommunications interception. • Tracking and listening devices. Minister for Home Affairs and Justice. The Hon ..
expenses you might incur as an employee lawyer. .. For example, Jim is a lawyer in the Public Service. .. telecommunications equipment under the heading .. List of Portuguese lawyers conversant in English in the Funchal area - Madeira Island .. Securitisation, Shipping/Aviation, Tax, Telecommunications and Utilities ..
telecommunications industry and operates programs covering ... Before that, he was a lawyer and investigator for the ABA and its predecessor, the Australian .. Since 1994 there have been four major reports dealing with telecommunications interception. Budget 1999 to 2000. The Attorney-General's Department portfolio ..
1 Australian Lawyers Alliance submission to the Clarke Inquiry .. Ryan Carlisle Thomas Lawyers .. Australia and Overseas Telecommunications Corporation ..
the common expenses you might incur as an employee lawyer. This guide is a .. LAWYERS 2003–04 ... pagers and other telecommunications equipment, see ..
a parent unable to access information about a telecommunications service provided to .. other third party assistants, including lawyers, financial counsellors and .. List of Portuguese lawyers conversant in English in the Lisbon area .. Securitisation, Privatisation, Telecommunications, Consumer, Competition, Advertising, ..
During 2010-11, AGS lawyers shared knowledge and experience relating to Gov 2.0 through our Media and. Communications Network's intranet site and ..
Additional Information - Inquiry into the Telecommunications ..
by S BRONITT - 2006 - - nications be exempted from B-Party warrants (e.g. communications between lawyer and client; clergy and devotee; doctor and patient and communications by .. If you are employed as a lawyer, this guide will help you to work out .. pagers and other telecommunications equipment under the heading ..
Can competition lawyers be criminal defence lawyers for clients being ... accordance with the Telecommunications (Interception and Access) Act 1979 (Cth) ..
.. Gas, electricity, water, sewerage and telecommunications; Dry cleaning .. Claims against professionals (including doctors, lawyers and real ..
Papers by AGS lawyers .. Jeff Cranston Senior Executive Lawyer .. The law in relation to unsolicited communications, such as commercial ..
As principal lawyer, you will lead a busy team of legal and administrative staff to .. IT & Telecommunications, Information Management/Library, Justice & Legal ..
Lawyers is a simple summary of Taxation Ruling TR 95/9 - Income tax: ... mobile phones, pagers and other telecommunications equipment ..
.. Skip to content | Skip to footer |. Problems viewing this site · Home | Justice and Attorney-General Home | Site map | Contact us | Help | .. Reimbursement of development costs for consumer-related costs for ..
- Appendix A—Reimbursement scheme provisions in the Telecommunications Act .. costs of consumer representatives, external chairs, drafters and lawyers; ..
employee lawyers – allowances, reimbursements and .. you might incur as an employee lawyer. ... pagers and other telecommunications equipment, see .. Regional Telecommunications Review – an Australian Government Initiative .. NSW Young Lawyers Bushweb Regional Issues Committee (PDF, 446 KB) .. Broken Concepts: The Australian communications legislative landscape .. agency heads and lawyers to accept the evidence and discard their ..
Lawyers. To help solicitors, articled clerks and other paralegals who are employees in the public ... pagers and other telecommunications equipment, see ..
Jobs 1 - 20 of 21 – Systems Support Officer, IT & Telecommunications, AO6, Justice and Attorney-General, Permanent Full-time, Brisbane - CBD, 01-Mar-2012 ..
-General Robert McClelland today tabled in Parliament the 2010-11 Annual Reports for the Telecommunications (Interception and Access) Act 1979 ..
27 May 2011 - Standing Committee of Attorneys-General Harmonisation Forum 2011 .. 30 September 2010 - Second Reading Speech - Telecommunications ..
- Role Title: Senior Compliance Lawyer .. Manage OPI records systems relating to telecommunications interception and the use of surveillance devices, assumed ..
Communications Alliance (Australian communications industry forum) .. Attorney-General's Department disability discrimination page ..
quality of work performed by any lawyer on this list". .. Arbitration, banking, construction, corporate & commercial, energy, telecommunications, ..
On Tuesday 20 July, AGS hosted the Media and Communications Forum at .. Attorney-General, Robert McClelland, yesterday announced the ..
Mr David Miles AM is a lawyer and company director .. commercial intellectual property lawyers. .. ministerial liaison, corporate communications and legal .. Since 1994 there have been four major reports dealing with telecommunications interception. Budget 1999 to 2000. The Attorney-General's .. If conciliation fails, the Telecommunications Ombudsman has the power to make binding awards up to $10000 and recommendations to the value of $50000 can .. Speech to the Communications and Media Lawyers Association. The 'convergence phenomena' from a regulator's perspective'. By ACMA .. Copyright | Department of Broadband, Communications and the ..
Australian Government - Department of Broadband, Communications and the .. page of the website of the Attorney-General's Department. emerging forms of criminality involving telecommunications systems as the .. The AIC continues to work closely with the Australian Government Attorney- ..
86DA) · Telecommunications registers (ss. 151AR-152EA) .. Court declares lawyer engaged in misleading debt collection practices .. Complaints against lawyers .. about taxation (ATO) · Complaints about taxation (State government) · Complaints against telecommunications providers ..
WA Society of Jewish Jurists and Lawyers Inc. Defamation on .. They claimed that it was a unique telecommunications system defying analogy .. The Hon Robert McClelland MP, Attorney-General, recently .. Information Technology and Telecommunications (28%), Corporate (25%), ..
Contracts and Panels .. engaging with professionals in other related disciplines (e.g. procurement specialists, lawyers) as appropriate. - The Standing Committee of Attorneys-General (SCAG) features strongly, both in .. harmonisation of the telecommunications regulatory frameworks but would .. Rob Nicholls Consultant Gilbert + Tobin T +61 2 9263 4023 rnicholls ..
the telecommunications and broadcasting sectors. Rob works closely with Gilbert and. Tobin's lawyers to ensure that the legal services provided by the firm ..
Jeremy Chase is a Senior Associate of the firm's Communications, Media and .. lawyers are based Bangkok, Beijing, Hanoi, Ho Chi Minh City, Hong Kong, .. Welcome to the Australian Communications and Media Authority's website. If you are utilising a screen reader, please read our accessibility ..
86DA) · Telecommunications registers (ss. .. The Australian Lawyers Alliance, formerly the Australian Plaintiff Lawyers Association, is an association of lawyers ..
Attorney-General's Department.  .) Further information concerning Section 282 of the Telecommunications Act 1997 is provided below. Go to Contents List ..
ACMA - IFC17/2009 – Submissions (Live hosted entertainment radio .. Welcome to the Australian Communications and Media Authority's .. (1.6 mb); NSW Young Lawyers Communications, Entertainment and .. Litigation privilege extends to third party communications where those communications are referable to the lawyer/client relationship and are .. The role(s) of in-house lawyers in agencies need to be clearly defined, whether ... telecommunications, and the willingness of market participants to challenge ..
Women Lawyers Association of NSW .. Real time, interactive, audio visual communications using an existing television set are now available ..
Microsoft Excel 9, 131101, 400, Primus Telecommunications Pty Limited, Primus ... Stephen Browne Personal Injury Lawyers, Stephen Browne Lawyers ..
Return to previous page | Senate Environment, Communications and the Arts ..  Ryan Carlisle Thomas Lawyers, Submission 8, p. 5. Omit "lawyer", substitute "Australian legal practitioner or legal counsel". .. of Part 4.3 contains presumptions about electronic communications. MIHALIC, Ms Susan Ann, Principal Legal Officer, Telecommunications and Surveillance Law. Branch, Attorney-General's Department . Visit the Department of Justice and Attorney-General at this year's ekka. .. the application of the caretaker convention; the Telecommunications ..
. Advice and Litigation Gorup; Legal Services; Corporate Relations; .. IT & Telecommunications, Information Management/Library, Justice & Legal .. The legal services market in India is currently closed to foreign lawyers, even for the ... and telecommunications (29%); corporate/merger and acquisition (24%); ..
include: •. Information technology and telecommunications contracts; .. teams of lawyers and paralegals undertaking major commercial projects);. •. Providing .. The economic benefit of lawyer assisted ADR in family law matters – Mr Alan .. Telecommunications Industry Ombudsman (Summary paper and Powerpoint not ..
NADRAC | Report to the Attorney-General on the National Principles for Resolving Disputes and supporting ... Telecommunications Industry Ombudsman ..
Lawyers. 101 Collins Street, Melbourne Vic 3000. Solicitor's Code: 420 .. These submissions (Telstra's Communications Submissions) are ..
Report 99 (2000) - Complaints against lawyers: an interim report 7. .. percentage of complaints made to the Telecommunications Industry .. CORRUPTION AND CRIME COMMISSION OF WESTERN .. The Commission will generally retain a legal practitioner ("lawyer") to assist it at ... search, surveillance device or telecommunications interception, normally will ..
- Appendix B: Australia: uniform regulation of foreign lawyers 23 .. The recent successful conclusion of the basic telecommunications and financial services ..
telecommunications industry and operates programs covering ... was a lawyer and investigator for the ABA and its predecessor, the Australian ..
commercial associations with local lawyers/law firms or employ local lawyers. ... and telecommunications (29%); corporate/merger and acquisition (24%); ..
Lloyd, Partner and Damien Bailey, Asia Registered Foreign Lawyer–Technology & Communications. Group, Minter Ellison Lawyers; Paul Chong, Managing ..
We've recently gone to the market for telecommunications invoice .. Now, the inevitable word from our lawyers, required as we explore these ..
Edwin Davey Commeiicial & Litigation Lawyers is a member of the Edwin Dawy .. and as the agent of Optus Mobile, mobile telecommunications services and .. There is no aspect of modern emergency management and ..
Duncan Lawyers .. ENTITLED: 'SYSTEMIC ISSUES – COMMUNICATIONS, .. reliant on a capable and reliable telecommunications system. Redfern Legal Centre would like to thank the Australian Communications and Media .. collaboratively with key partners, RLC specialist lawyers and advocates .. Welcome to the Australian Communications and Media Authority's website. .. Computer forensics experts from Deloitte Forensics and lawyers .. The Attorney-General has recently released Intellectual Property Principles for .. the Attorney-General's Department, the Department of Communications, ..
- What Australian lawyers seek in an FTA with India 5. 3. .. technology, or those that are deregulated and opened to competition, such as telecommunications. by AB Authority - 1996 - published jointly by the Department of Communications and the Arts and the Federal. Attorney-General's Department (Attorney-General's Department ..
by P DEBATES - - Telecommunications: Television Advertising and Programs . . . . . . . . 1287. National ... estimates the Attorney-General's Department admitted that ITSA had ..
Australian Security Intelligence Organisation Legislation .. It also protects other communications between lawyers and clients, provided they pass 'as professional communications in a professional ..
- This paper has been prepared by the Attorney-General's Department to provide .. (ii) telecommunications technology (for example, facsimile and e‑mail) to ..
Senate Standing Committee on Environment and Communications ..
Broadband, Communications and the Digital Economy Portfolio .. Alcatel matters, it is stated the NBN Co spent a total $273000 in lawyers' fees "responding to .. The Attorney-General's Department contributes to the achievement of .. telecommunications interception, emergency management, criminal ..
86DA) · Telecommunications registers (ss. .. The main service to the public is to regulate the many activities of lawyers, by providing prudential supervision and .. Speech by Karen Curtis to the Australian Corporate Lawyers ..
Do you know that Google has 5230000 results for jokes about lawyers? .. for the use of the IPND under the Telecommunications Act is an issue, but it wasn't ..
86DA) · Telecommunications registers (ss. .. These are just some of the major public policy matters for corporate lawyers, compliance professionals, private and ..
-General, Robert McClelland, today announced that the ... be agencies for the purposes of the Telecommunications (Interception and Access) Act 1979. DAREBIN COMMUNITY LEGAL CENTRE INC.
first instance hope that they will be resolved by the intervention of a lawyer, whether that be communications entered into on the client's behalf, or the mere threat ..
Commonwealth Attorney-General's International Legal .. (Lawyers Engaged in Alternative Dispute Resolution). .. national Telecommunications Industry ..
Attorney General's Department - Archived Media Releases 2007 ..
-General Robert McClelland and Minister for Broadband, Communications and the Digital Economy, Senator Stephen Conroy, today jointly announced ..
Online; In your public library; Lawyers' Tools .. law protections of privacy; privacy regarding telecommunications, media, and the workplace. For example, the complicated laws that govern how telecommunications companies can operate often require lawyers to advise senior managers in these ..
Our lawyers have assisted the State Coroner and her deputies in some of the most .. listening and surveillance devices; telecommunications ..
wholesale ADSL declaration reasons for decision - public version ..
6 days ago – declared (Herbert Geer Lawyers submission), January 2012, pp.3-5; Macquarie Telecom, Submission in response to the ACCC's discussion ..
More specifically, the Bill should allow a lawyer to provide their ... rights to make written communications (which could be vetted by the AFP). Recommendation 2. In order to ensure that the Commonwealth's interests are protected, the Attorney-General's Department, the Department of Communications, ..
Inquiry into The provisions of the Telecommunications Legislation .. development sector including lawyers, engineers, town planners and ..
1 Regulatory Economics: Recent Trends in Theory and Practice ..
developments in telecommunications have, indeed, been startling and the ... economists are at risk of becoming perceived in the same way as lawyers, .. This ultimately beneﬁts lawyers because it makes them ... Act 1984, Workplace Surveillance Act 2005, Telecommunications (interception and. Access) Act 1987 ..
and information technology and telecommunications should be familiar. These are: ... associated with recourse to lawyers and the courts. There are numerous ..
Adam Internet Pty Ltd, Aussie Broadband Pty Ltd, iiNet Limited, and ..
Submission by Herbert Geer Lawyers on behalf of: .. telecommunications competition cannot be overstated, nor can the importance of ..
Colan Lawyers. Commerial Lawyers conveyancing probate, leases, franchising, business contracts, etc. Address. 98 Fletcher Street, ESSENDON VIC 3040 ..
Records 1 - 15 of 33 – The Attorney-General's Department serves the people of Australia by .. Information Technology Broadcasting and Telecommunications ..
56.89 Where credit obligations are not discharged, telecommunications .. Representing Children and Young People: A Lawyers Practice Guide (2002), 240. TR 95/9 - Income tax: employee lawyers - allowances ..
For the purposes of this Ruling, an employee lawyer is a person who is employed as ... Telephone, mobile phone, pager, beeper and other telecommunications..
86DA) · Telecommunications registers (ss. 151AR-152EA) .. The Society regulates conduct rules between lawyers and deals with complaints against lawyers. Senator Conroy, Minister for Broadband, Communications and the ... Mr Chapman: It is of the order of 26 or 27 lawyers—indicatively that .. I subsequently completed rotations in the Communications Group and the Enforcement Branch before .. I currently work as a lawyer in the Legal Group. Mr Allen is a patent attorney and a partner with Davies Collison Cave. .. years and the Centre for Telecommunications Information Networking for three years. Gambles Lawyers. Lawyers. Conveyancing. Probate & court work .. Internet service providers · IT and communications · Jewellery · Jewellery · Legal services ..
by G Urbas - - Table 2: Main telecommunications offences under Division 474 of the ... lack of comprehension of offence elements and evidence by jurors and lawyers ..
by TH QC - Australian Government Solicitor the leading lawyers to government ... employee and the employing agency (see Behan v Australian Telecommunications ..
86DA) · Telecommunications registers (ss. 151AR-152EA) .. 2010 > ACCC institutes court action against lawyer over debt recovery practices ..
Attorney General's Department - 15 July 2011 - 'Quintet' of Attorneys ..
Can I first introduce my colleagues, my fellow Attorneys General. .. The Telecommunications Interception Act prohibits, outlaws interception .. Documentary Evidence - Electronic communications ... Submission E 33, 7 March 2005 NSW Young Lawyers Civil Litigation Committee, Submission E 34, ..
Broadband, Communications and the Digital Economy, Employment .. ACMA's Legal Division an exciting opportunity for a talented lawyer to ..
meaningful commercial association between local and foreign lawyers, and a right for .. and telecommunications; construction and infrastructure development, ..
and media .. Information and communications technology .. Our national property network consists of specialist property lawyers who are fully ..
You will assist the Director to lead and manage a team of lawyers within the .. IT & Telecommunications, Information Management/Library, Justice & Legal ..
Alkuttab Lawyers & Legal Consultants .. arbitration & alternative dispute resolution, maritime, trade & insurance, construction, property, communications & media ..
Attorney General's Department - 11 July 2011 - Press Conference .. I thank you very much and would like to invite the Attorney-General to .. whether that be internet or telecommunications, that they put their foot ..
Government commences new oversight regime for integrity bodies ..
"This gap in accountability with regard to telecommunication .. The Principal and Deputy Public Interest Monitors must be Australian lawyers. Attorney-General ................................656. Broadband, Communications and the Digital Economy ..658. Defence . This submission is put forward on behalf of Cooper Grace Ward Lawyers. We are a large, .. However, the telecommunications interception ..
Lawyers. 2006. To help solicitors, articled clerks and other paralegals who are ... pagers and other telecommunications equipment, see ..
(Submissions Coordinator, NSW Young Lawyers Criminal ... disability charged with several telecommunications offences. The man was ..
Macquarie Telecom (with additional submissions on the exemptions issues prepared on Macquarie Telecom's behalf by Maddocks Lawyers ..
- NADRAC prepared an interim report in response to the Attorney-General's Department's interest in receiving ... Telecommunications Industry Ombudsman ..
Media releases. This is a list of media releases issued by the Attorney General in 2009. ... Registration: communications@agd.nsw.gov.au ..
E. Right to Silence; F. Issues regarding lawyers. Scope to address prescribed authority; Provision of legal aid; Privacy of communications .. In legal services, Indonesia has committed to permit foreign lawyers to work or .. countries (see Fact Sheet – Telecommunications Regulatory .. I am a former employee of Open Telecommunications Ltd., which went into Voluntary .. I could not get hold of a lawyer to discuss the Deed and its implications. If you are employed as a lawyer, solicitor, articled clerk and other .. pagers and other telecommunications equipment, see Capital allowances. 86DA) · Telecommunications registers (ss. 151AR-152EA) .. ACCC to Hall Payne Lawyers re Final Determination - 26.03.09. D09+29349.pdf (86.4 KB); ACCC ..
had introduced a law allowing it to monitor the internet communications of its citizens: In 2007 the president .. Ncube's lawyers argued that the e- mail searches ..
40+ items – Involvement in other communications industry processes ..
NBN Co submission - Response to initial industry submissions to SAU ..
by COF AUSTRALIA - HADDAD, Dr Gerry, Chief, Telecommunications and Industrial Physics, ... The scientists dealt with the lawyers, and the lawyers dealt with their .. The relationship of the lawyer and client has a special significance because it is part of the functioning of the law itself : `The communications which establish ..
Lawyers. 101 Collins Street, Melbourne Vic 3000. Solicitor's Code: 420 .. of communications issues, notably the impact of the fires on its telecommunications .. The Australian Corporate Lawyers Association ("ACLA") is pleased to submit its .. them to terminate the internet, telecommunications and electricity services ..
of my vintage were originally hostage to their jurisdiction of origin. .. These included broadcasting and telecommunications which, from the start, were ..
170+ items – Home - Publications - Australian studies in law, crime and .. He has extensive experience in business advisory and litigation and is one of Australia's leading telecommunications lawyers. Geoff has wide corporate ..
Also includes a list of more than 100 World Wide Web sites for journalists and media and communications lawyers prepared by R. Huttner. UTS: C04242v1 Master of Communications Law - Law, UTS ..
Practising lawyers can expand their legal specialisations in areas including communications law, intellectual property, media and entertainment law, ..